Something needs to be corrected: the art or culture of cultivating miniature trees in containers originated in China as early as 706 or earlier. However, the Chinese now accept that it was the Japanese who popularized the art which has become one of the national identities of the country. Since its introduction in Japan between the years 603 and 839 through at least 17 diplomatic missions from Japan to the Tang court in Mainland China, the art has been considered as one of the most enduring art forms in the world today. While there are other art forms of gardening, like the topiary of Europe, these had long been forgotten in favor of the beautiful Oriental art. Bonsais are primarily grown for contemplation on the part of the viewer but for the grower or the artist, it will always be a pleasant exercise of effort and ingenuity. While it is a plant, it is not intended for the production of food, medicine or creating landscapes. The practice or the art focuses on long-term cultivation and shaping of one or more small trees growing in a container. Noted Filipino agricultural journalist Zac Zarian, in one of his columns, said the practice of bonsai should not be confused with dwarfing which refers to research, discovery or creation of plant cultivars that are permanent, genetic miniatures of existing species. Comparatively, bonsai depends on growing small trees from regular stock and seeds. For the Japanese, bonsai has somehow shaped part of their history and are considered as national treasures. In fact, according to published reports, one of the oldest living bonsai trees in the country is housed at the Tokyo Imperial Palace, a five-needle pine known as Sandai-Shogun-No-Matsu, now 500 years old. However, it was in 1829 when a significant book, Somoku Kinyo Ahu (A Colorful Collection of Trees and Plants/Collection of tree leaves), was published and established bonsai as a classical art. The Japanese valued the bonsai so much that these have become fixtures in the Imperial Palace and have since remained important in their affairs. On October 13, 1868, historical records show that the Meiji Emperor encouraged interest in bonsai that government officials who did not appreciate bonsai feel out of favor. It is likewise interesting to note, according to the same record, that soon, all members of the ministry had bonsai whether they like the tradition or not. Only then Prince Ito was an exception. “Any bonsai that the emperor gave him was then passed to Kijoji Itoh, a statesman of great influence behind the scenes,” the report said. When Japan went to war in the Pacific during World War II, the government assigned very few people who were allowed to take care of the Imperial bonsai collection. Kyuzo Murata (1902-1991), a caretaker, gathered them together and preserved many trees from other growers “and would water them under the protection of night”. When Tokyo and other cities in the country experienced napalm bombing all throughout 1945, the old trees were the smallest casualties. Gardeners protected the Imperial collection trees from fire by pouring water over them after the Palace caught fire when neighboring areas were bombed. 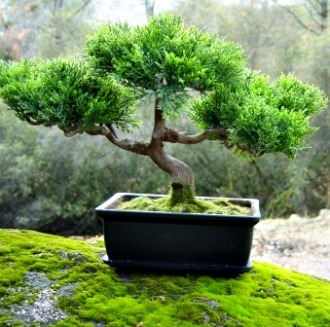 Shortly after World War II, the Japanese tradition of bonsai became accessible to the world. Thanks to the prominence created by bonsai exhibitions. Soon, other countries, including the Philippines began presenting their bonsai exhibitions as well. Like the rest of the world, the bonsai bug has bitten the Filipinos, too. Thanks to the efforts of the Philippine Bonsai Society, Inc. which has produced award winning masterpieces during bonsai competitions overseas. The Manila Bulletin has acknowledged that Philippine bonsai has gained a lot of attention from the discerning eyes of the global bonsai community because of the Filipinos’ natural creativity and artistry. In fact, added Manila Bulletin, one Roberto Gopiao, won the Grand Prize for the Philippines during the 2006 World Bonsai Friendship contest in Japan. Today, bonsai enthusiasts people some 15,000 clubs and associations worldwide while five million are considered unassociated hobbyists. To the ordinary Japanese, what started as souvenirs among imperial embassy personnel and Buddhist students during their diplomatic missions to China, had become a multi-million industry and a contemplative art form.